Assistant Professor of English Hirsh Sawhney’s debut novel, “South Haven,” has been longlisted for the prestigious DSC Prize for South Asian Literature. The DSC Prize’s advisory committee chose “South Haven,” along with twelve other novels, to move to the next stage in the judging process. The Committee selected “South Haven” for its pertinence to South Asian experiences and excellent writing and narrative. The ultimate winner of the DSC Prize will receive worldwide recognition, in addition to a monetary award of $25,000. Since 2011, the DSC Prize has been awarded to a full-length work of fiction focusing on themes of South Asian history, culture, politics or people. Books must be original works and professionally published, and can be written by an author of any ethnicity from any country. While many winning and longlisted works take place in regions of India, Sawhney’s novel is set in South Haven, a fictional town based off of the real New Haven, Conn., where Sawhney grew up and currently lives. 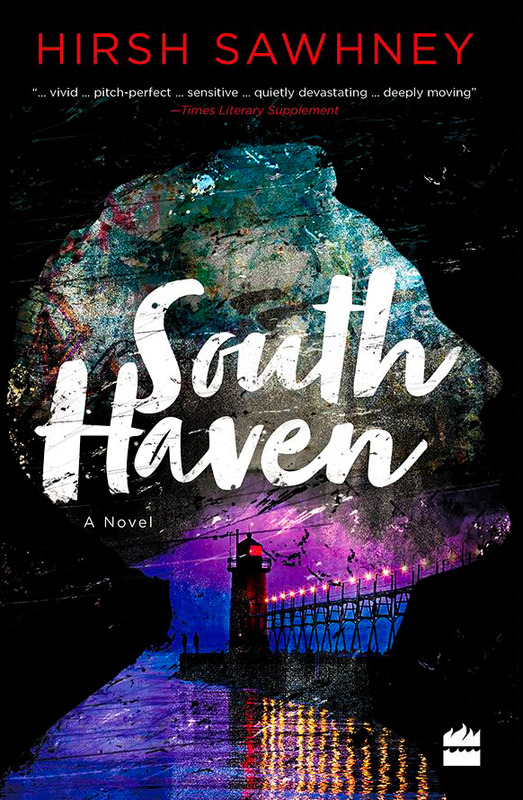 “South Haven” follows the story of a boy named Siddharth Arora, the American son of Indian immigrants, whose ordinary life goes into a tailspin when his mother suddenly dies in a car accident. Siddharth struggles to care for his depressed father who turns to Hindu Nationalism and Islamophobia as a means of coping. For his part, Siddharth joins a local group of bullies and loses motivation to pursue his former interests. Thus, father and son each find his own means of coming to terms with the loss. Siddharth’s father eventually becomes romantically involved with his son’s school psychologist, moving the plot towards an intimate look at the life of a multiracial family. The novel explores the intricacies of American suburban family life, while also delving into blended cultures and how a family may cope with loss. In addition, the novel focuses on elements of South Asian culture in suburban New England. “The novel meditates on the way in which important aspects of South Asian history, namely the partition of India, play out in very discrete ways, in the lives of individuals for decades to come,” Sawhney explained in an interview with The Argus. Prior to writing this novel, Sawhney had focused mostly on writing short fiction and book reviews for publications such as The New York Times Book Review and the Guardian. In an interview on the WNHH Community Radio, Sawhney described the shift to novel-writing. “To spend three or four years alone not doing that type of work, it took a lot of willpower and my lovely partner and wife reminding me to keep my eyes on the prize of the novel, and not give into the impulse to want to just dash off 800 words, 500 words,” Sawhney said. When later asked why Sawhney chose to create a fictional New Haven suburb rather use a real one (like North Haven or East Haven), Sawhney explained that it allowed him to imagine his own setting, one with changed or added features, with which his characters would interact. The location of Sawhney’s novel as outside of South Asia is alluded to, along with locations in other books, in the description of the DSC’s longlist. Sawhney explained that knowing the books were impactful in South Asia—a place that plays a major role in the novel—is both humbling and gratifying. He also notes that when someone in New Haven tells him that they loved the book, he is equally grateful. “South Haven” is not solely highly regarded in these two circles, however, which is perhaps indicated by his recent global praise. The DSC longlist description explained the significance of the chosen novels, noting that more than 60 entries were received and only a baker’s dozen was chosen. The international jury panel made sure to meticulously read each entry, choosing from them 13 novels for the longlist that they felt were the best works of the year. In addition, South Haven was also added to the shortlist of novels for the Shakti Bhatt First Book prize, among five other books. This prize also commemorates writing pertaining to South Asia, and of the 47 entries, only six were chosen for the shortlist. The shortlist for the DSC Prize for South Asian Literature will be announced in late September of 2017, and the Shakti Bhatt First Book Prize will be announced in November.